On Power, “The Kind of Man You Are” we met the second chair for Ghost’s federal case Terry Silver. Silver is a smug MF, but he came through in the clutch and was able to retrieve the city’s CCTV that showed the illegal stop of Ghost by Agent Knox. With this video footage Proctor was able to get the DNA evidence dismissed and it looks like there might be hope for Ghost’s case. But that’s the only good news Ghost received in “The Kind of Man You Are,” because Tony Teresi is blackmailing Ghost for 20K a week… Yikes! Tony knows that the business man James St. Patrick, who is locked up with him is also Ghost and he’s using it to his advantage. The drama continues for Ghost because even though the DNA evidence was tossed, the feds may have more up their sleeves since they rounded up Dre and Julio to ask a million and one questions about their ties to him. Plus, Angela brought Keisha in to question how much of a married couple Tasha and James actually are, to hopefully force Tasha to testify against Ghost. 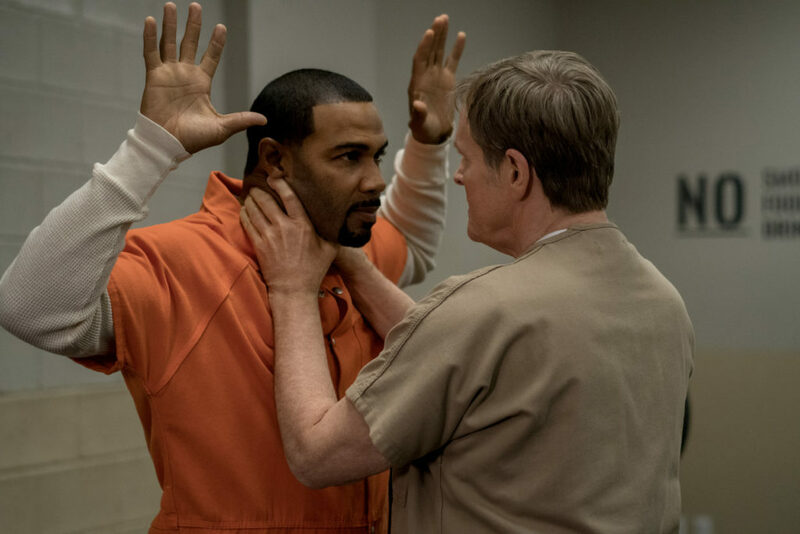 We’re only 3 episodes into Power season 4 and we’re not sure if we will ever have a #FreeGhost! Mak you’re fine man, but I don’t like how zealous you are right now. Let’s find out how zealous he is when you live tweet Power, ‘We’re in This Together’ with us at @WeSoNerdy tonight at 9/8c. Until then, here are some more pics from tonight’s episode.